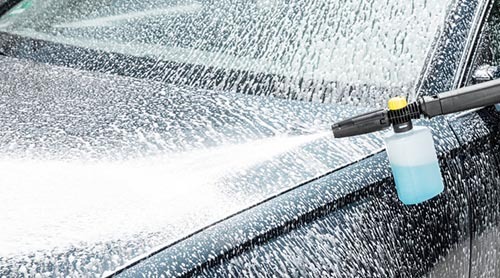 Produces a powerful adhering foam for cleaning vehicles & facades. Transparent container to keep track of detergent levels. 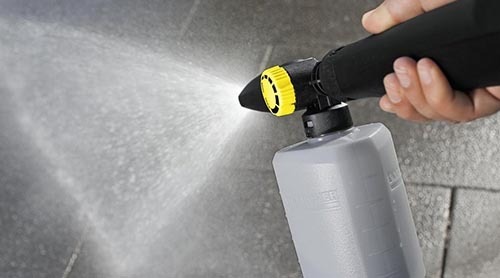 FJ 6 foam nozzle with extra powerful foam for easy cleaning of all surfaces such as paint, glass and stone. Ideal for vehicles, winter gardens, garden furniture, façades, stairways, caravans, paths, walls, venetian blinds, terraces, driveways etc. Container capacity approx. 0.6 litres. 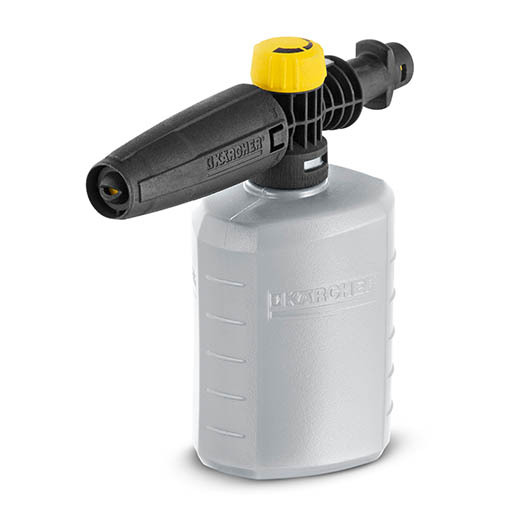 Pour Kärcher detergent directly into the foam nozzle, attach the nozzle to the gun and apply the foam. The detergent Dose can easily be adjusted on the foam nozzle (yellow knob). The jet level can be adjusted as required. 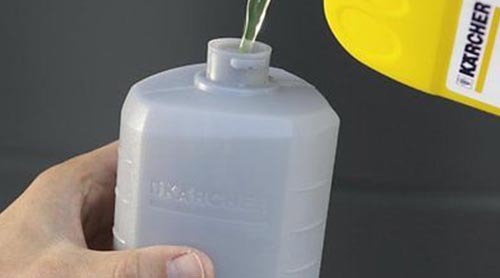 Suitable for all Kärcher pressure washers of the K 2 to K 7 classes.